STM - Strip Cutting Machine - Wöhler Bohemia s.r.o. 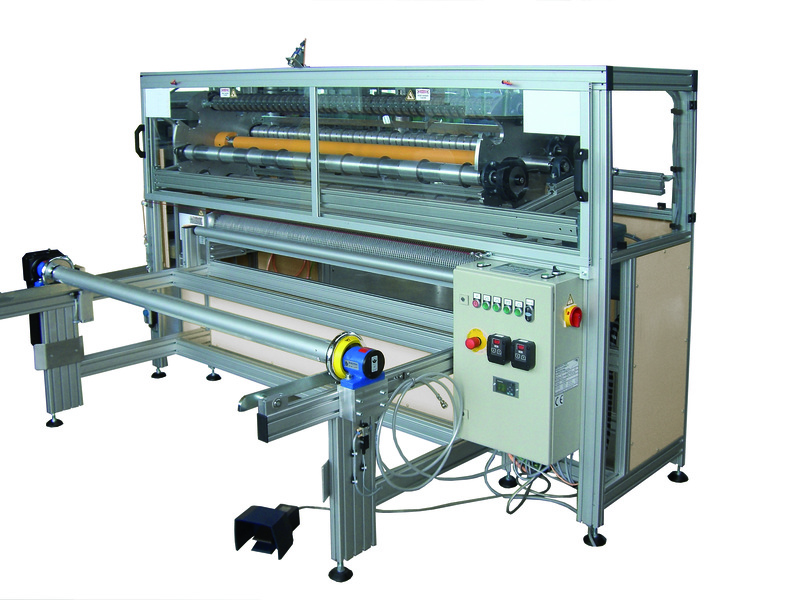 Plush or lambskin is supplied to the cutting unit via the supporting table. There is a possibility of installing a belt guide here for straightening the material. The material is seized by a needle drum and cut. At the end the cut material is deposited on the plaiting table or is rewound to coils by means of a winding equipment. The cutter bar, equipped with round blades, is rapidly exchangeable and furnished with a corresponding drive. Cutter bars are available for fixed and variable strip widths. If there are several cutter bars a revolving device for faster change-over of the blades is recommended.